My name’s Andy Bowen, I’m a research specialist at Woods Hole Oceanographic Institution and the project manager for the development of the Nereus vehicle. 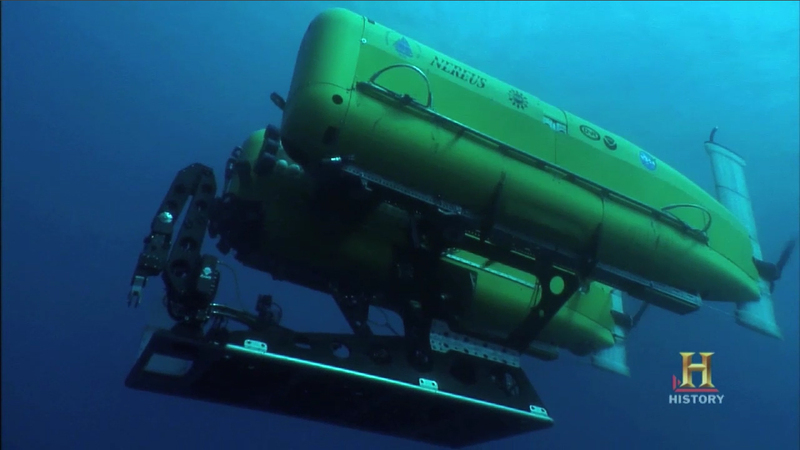 Nereus is a new class of robotic vehicle, capable of descending into parts of the ocean that have previously been unexplored, and I think it’s fair to say, that will result in new discoveries about our ocean environment. Our final trials for the Nereus vehicle were of course to take it into the deepest part of the ocean and that was to the bottom of the Marianas Trench, in the Western Pacific. You could put Mount Everest into the Marianas Trench and there’d sill be a mile of water over the top of Mount Everest. Humans have been to the very bottom of the trench in 1960, but it was mostly a technological demonstration of its day. Likewise, Japan developed a vehicle, in the 1990s called Kaiko. Its maneuverability was limited in terms of trying to understand such an unusual and unexplored environment. The trip to the sea floor takes about eight hours. As the vehicle is descending, of course ,the pressure is building up. So Will the structure hold up? I think many of us spent a lot of time pacing, being concerned about how the vehicle was going to behave. And as we got closer and closer to the seafloor, of course we became more and more excited, exhilarated, about the moment of touchdown, and when that occurred, I think we felt, that we’d sort of done it. We were able to collect biological samples and rocks that would be basically impossible through any other means. I think we may be able to exploit that maneuverability to potentially work under the polar ice caps, which is an area that is essentially, like the trenches, unexplored. From a functional point of view, Nereus kind of operates in two different modes. It can operate as an autonomous vehicle, which means it is able to survey the sea floor with very little direct human control. The unique characteristic that the vehicle has is that it can actually convert from this autonomous vehicle into one that is tethered to the surface vessel. The Nereus tether is quite unique. We actually dangle a reinforced cable over the side of the ship down to a point where the ocean is quite quiet. And from that point to the bottom, we actually tether the vehicle with this tiny slender fiber, something that’s approximately the size of a human hair. In ROV mode, that cable allows us to have direct control over the vehicle’s actions because there are certain functions that the vehicle has to perform that require human ability to adapt to situations and to actually guide the manipulator arm. So images come back on the fiber and we send commands down to the vehicle over that same fiber. Nereus represents sort of a step change, in an evolutionary sense, to improving our ability to understand the oceans through the use of technology. Scientists now have a tool to reach parts of the ocean that have never been visited before.